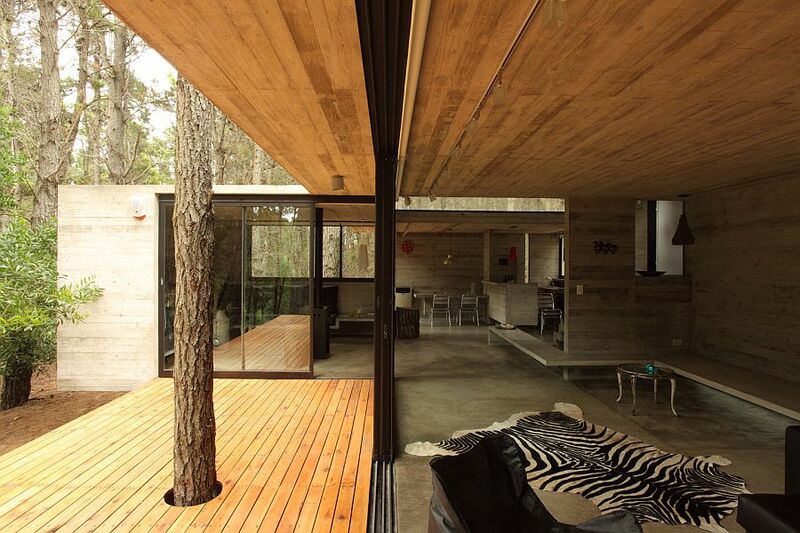 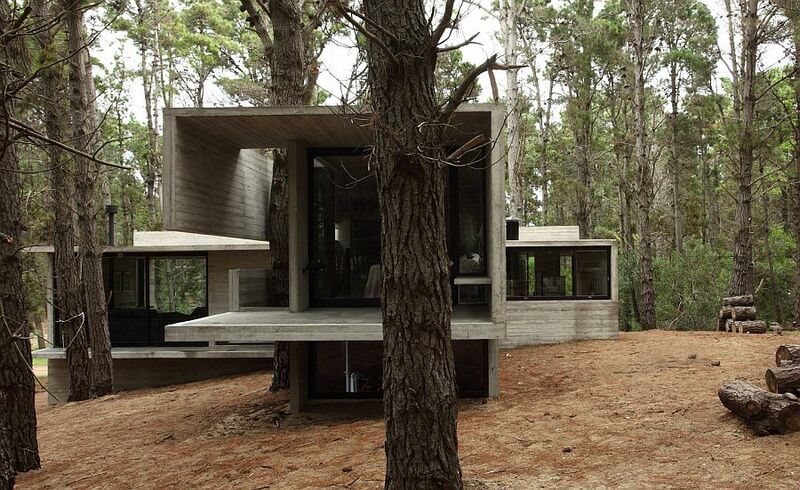 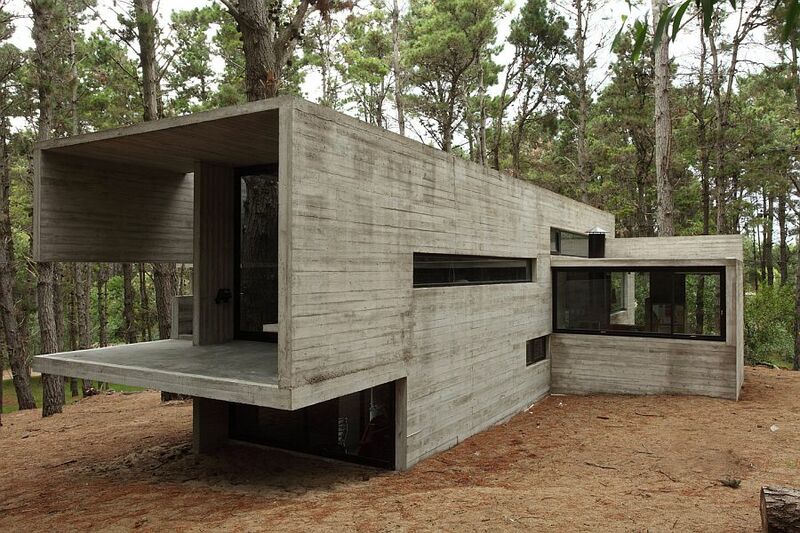 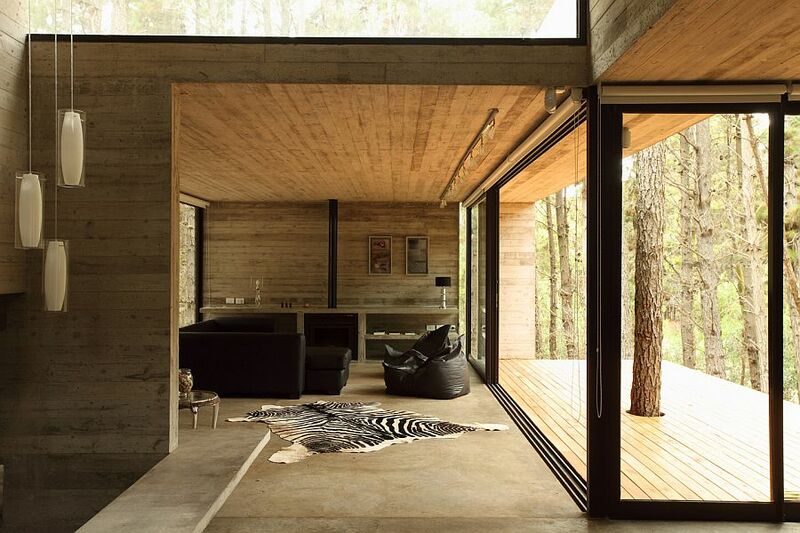 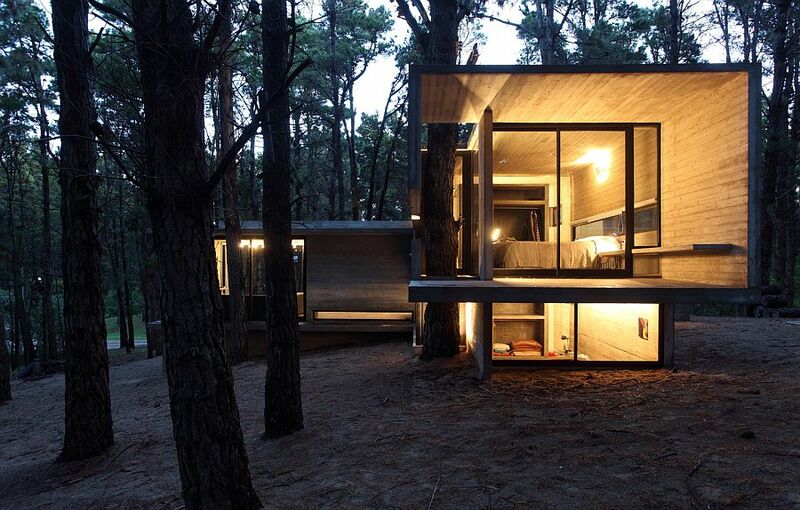 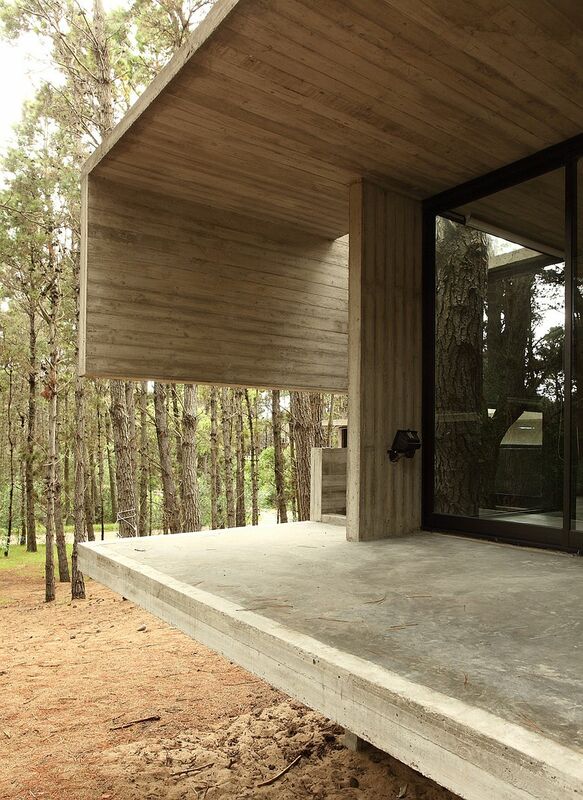 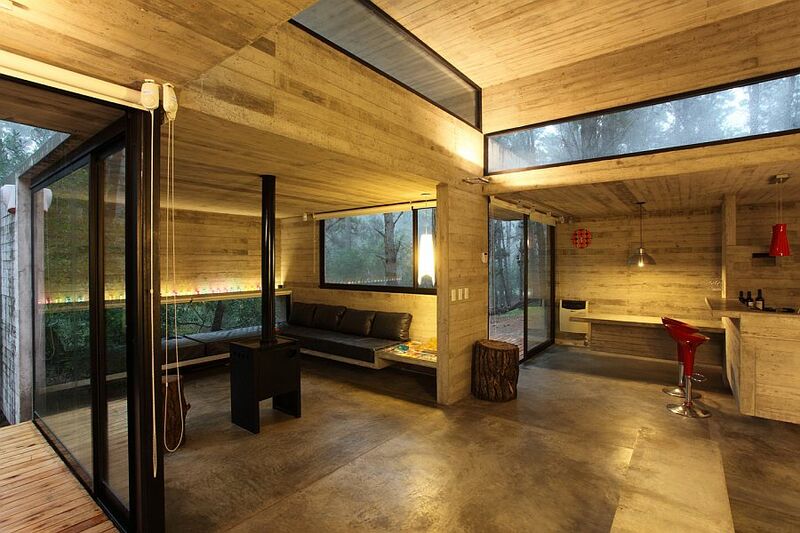 The contemporary wooden JD House in Mar Azul, Argentina, is a great structure created by BAK Architects. 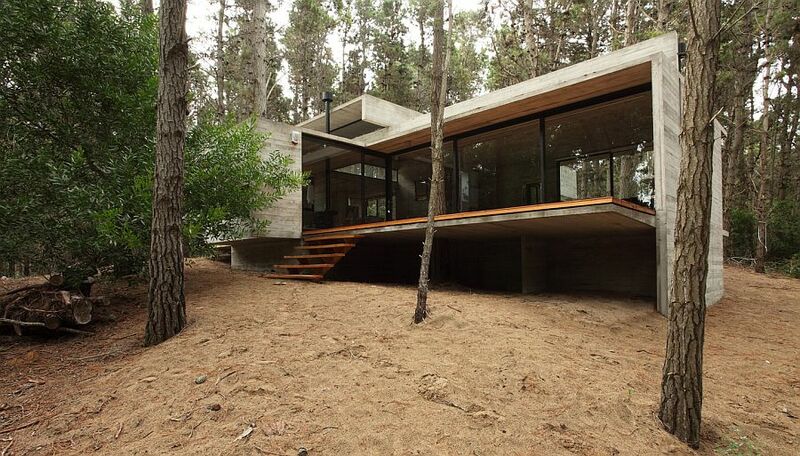 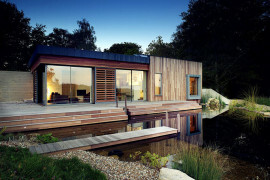 Its purpose was to create something with a nature approach, while keeping it as simple and as minimalist as possible. 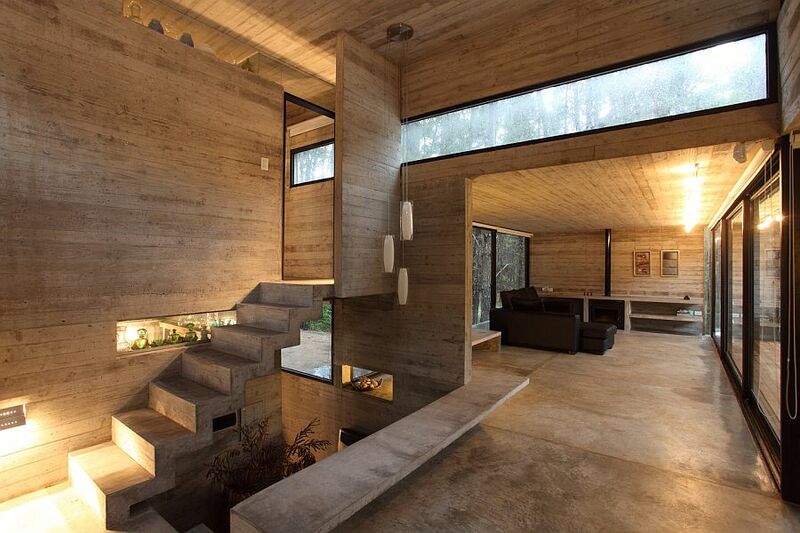 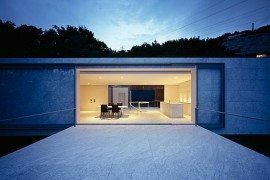 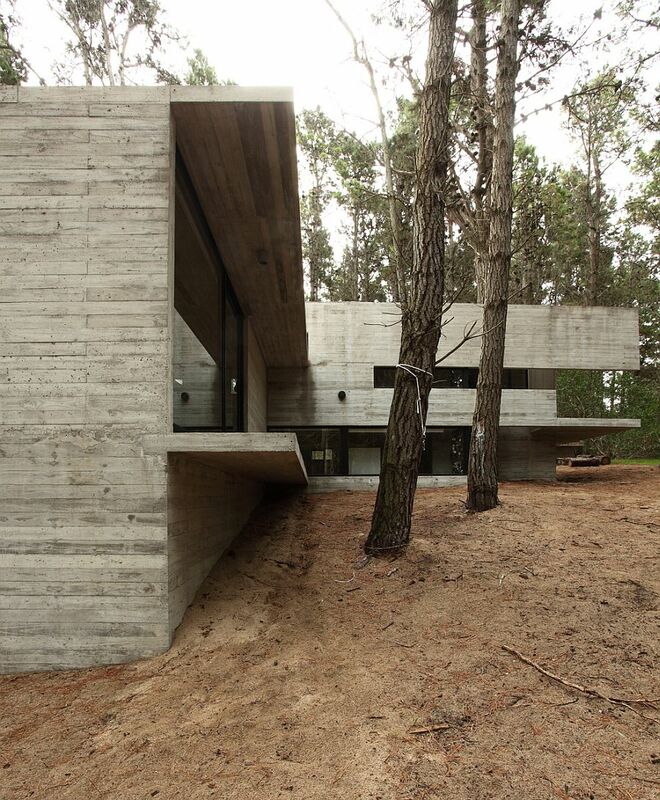 The house has a geometric concrete envelope. 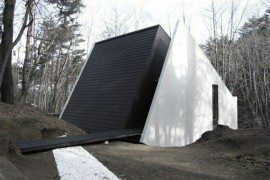 For a house in the woods (somehow privacy assure, right?) 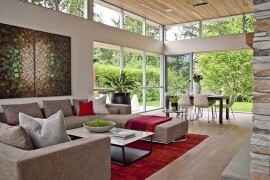 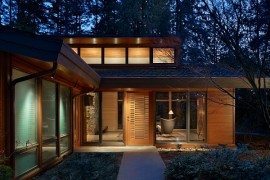 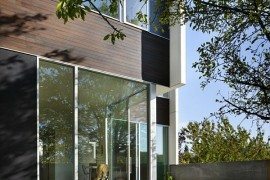 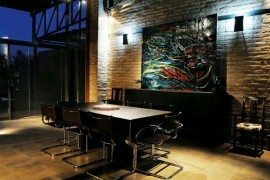 it has floor-to-ceiling glass walls to favor natura light. 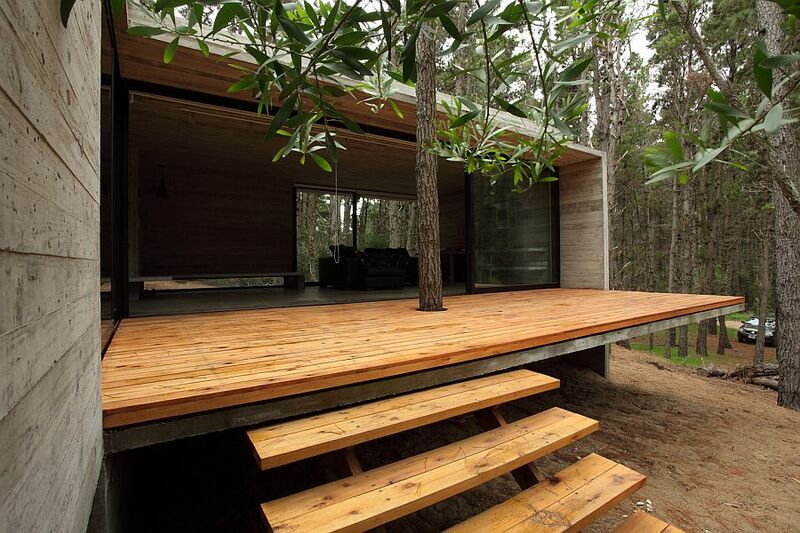 A tree has made it on the porch at the front entrance, or rather through it, while other trees peek closely through the windows. 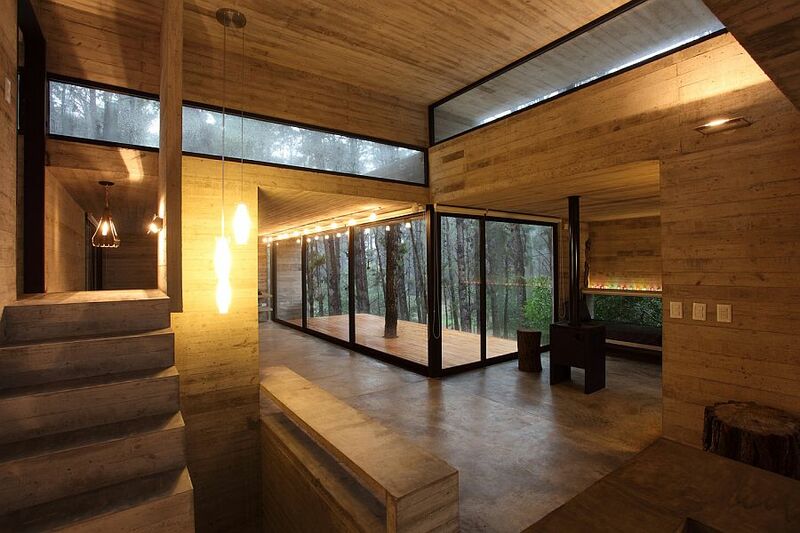 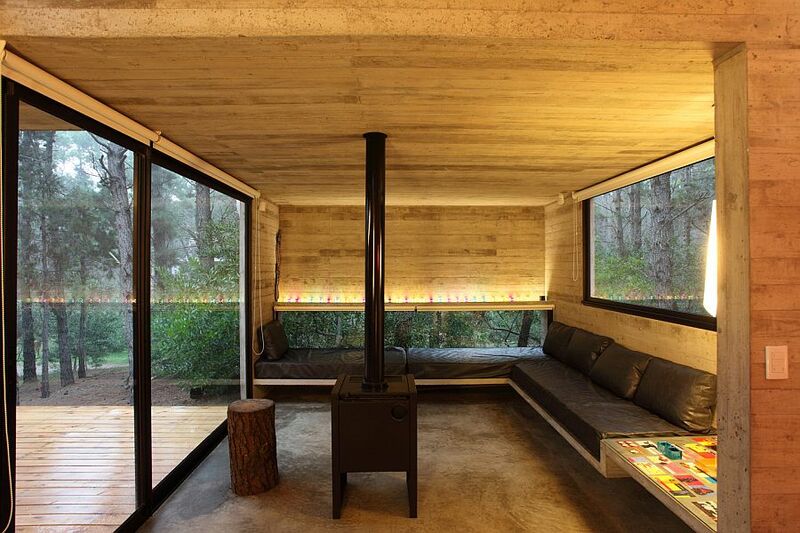 The forest seems to extend into the house, with its wood plated walls and wood furniture and the dim yellow light on the surfaces and edges. 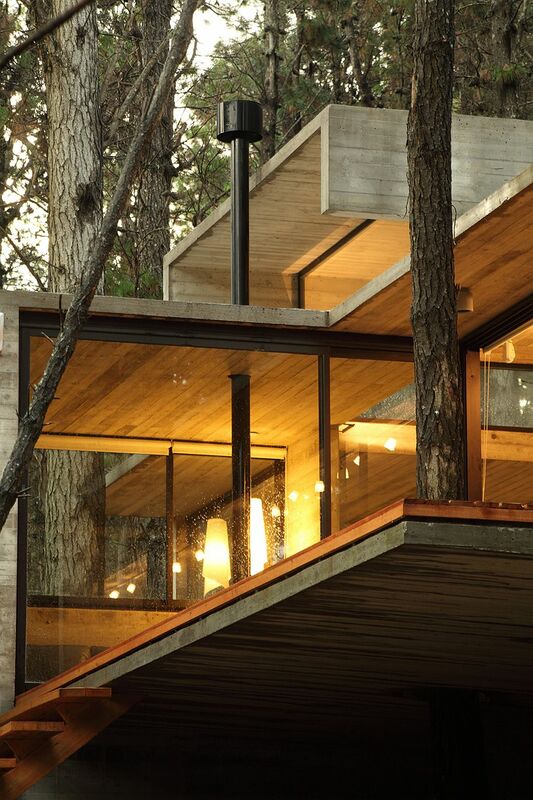 JD House surprises the visitor through glass strips cut into the wood under the eye level in the quaintest corners of the house. 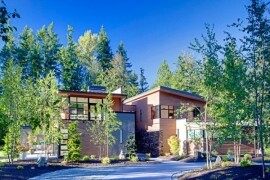 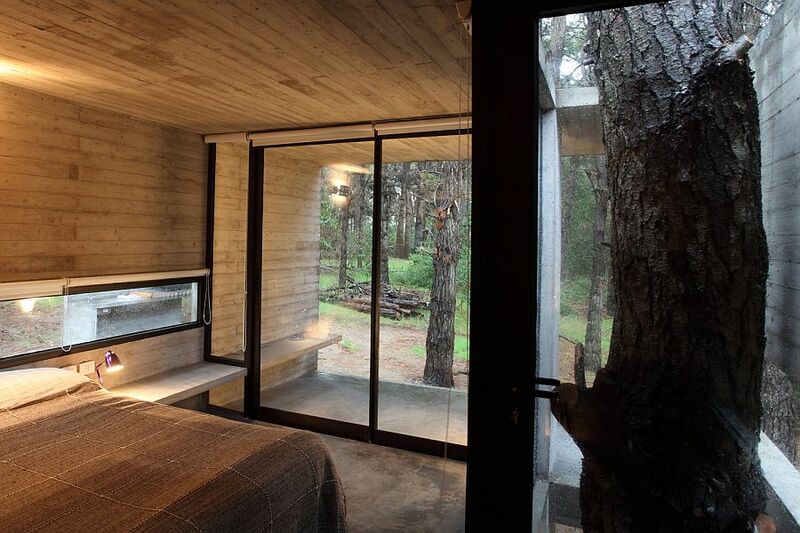 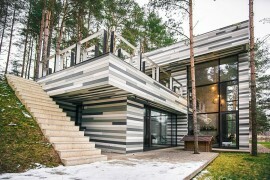 While the intensity of naked wood and the proximity of the forest may be oppressive to live with, the atmosphere is unique and dare say,fantastic. 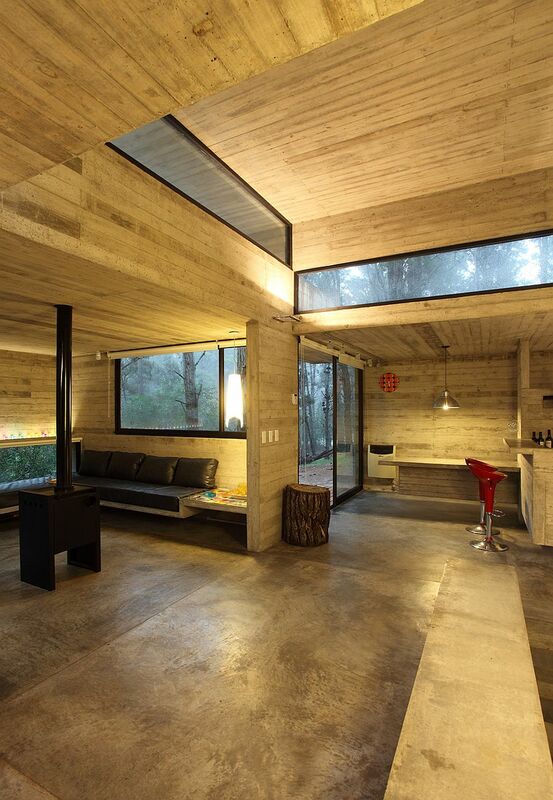 A true indoor-adventure for a holiday home, don’t you think?